Connoisseur Media has sold its standalone station in Bismarck, ND. 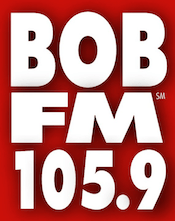 Variety Hits “105.9 Bob-FM” KKBO has been sold to Radio Bismarck Mandan for $700,000. The sale will place KKBO in a cluster with Classic Hits “Mojo 107.5” KXRV. The sale, which is subject to FCC approval, is expected to occur in the next two or three months. Michael Bergner of Bergner & Co. served as the broker on the deal. Founded in 2004, Connoisseur Media owns and operates 24 radio stations in Bismarck, ND, Billings, MT., Bloomington, IL, Erie, PA, Long Island, NY, Omaha, NE, Rapid City, SD and Wichita, KS.